To understand myths or misconception about job hunting, first, it’s important to know what job board is? From a candidate’s point of view, a job board is a place where he looks for a job and from an employer’s point of view, it’s a place of advertisement for the job. In other words, it’s a term used to describe the collection of various sites where employers and job seekers connect. It might be job site, job website or job portal. Therefore, the job board mainly deals with the hiring process. It is the misconception that job seeker who had multiple jobs with their short stay listed on their resume or changes their company to take multiple moves for gaining experience or skills are recognized by their employers. If you have impressive qualifications and expensive experience it doesn’t necessarily guarantee that you will get the job. In fact, jobs are often offered who is the better communicator, or who can connect with the interviewer and discuss things with his skills and achievements in a professional manner. A cover letter is a letter where you tell your employer exactly what type of job you are looking for and how you are qualified for the job. In case, if you apply for the job and it does not contain the cover letter it seems to be useless for the employer as he or she does not know what type of job you are looking for? Therefore, a cover letter should be sent specifically to the company and position you are applying to. Job seeker never lowers their salary demands, if you do so it will make you appear desperate for the job and will result in losing job offer or if you will get the job, you are not happy with your job because you would feel sad about the salary you deserve. Therefore, whenever apply for a job never bring up salary issues, let the employer raise it. If you are out of work for some period, you become desperate for a job, but it does not mean you should accept the first job that comes to you if you know it’s not right for you. If you suffer some financial or emotional consequences, do some freelancing or some temporary work that best fits in the direction you want to move. It is believed that the job opportunities advertised on newspapers and the internet only allow you to position yourself in front of a small percentage of opportunities. If you want to maximize your job search leverage your professional network of contacts. 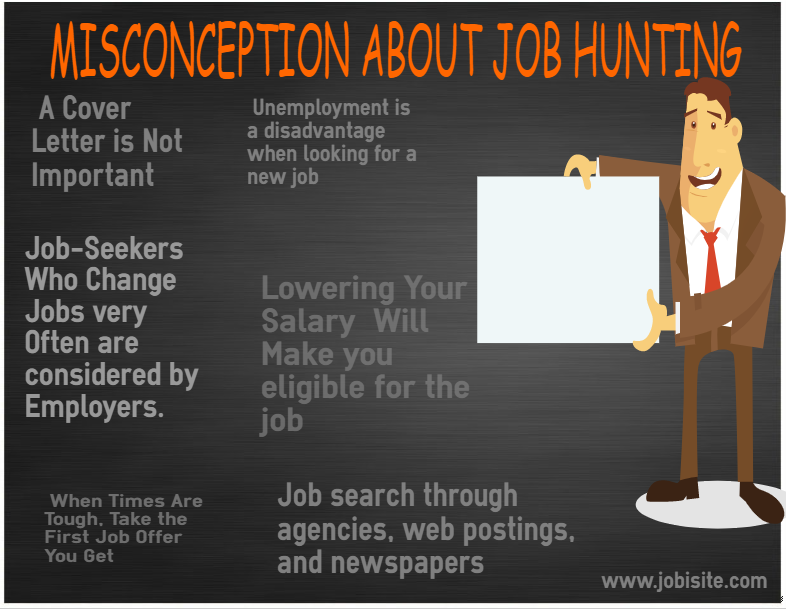 It is a common misconception that it’s easier to get a job if you are already in the job. 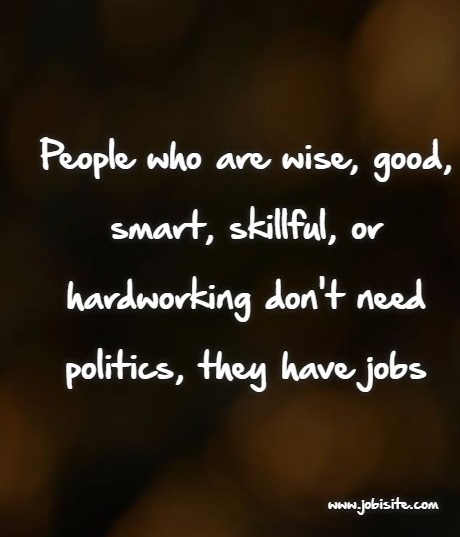 employers also understand that there are several reasons why you want to be out of the job. To conclude this, it’s important that we don’t believe in all these myths and misconception, just believe in yourself and stay confident. Always remember the key to success is hard work.